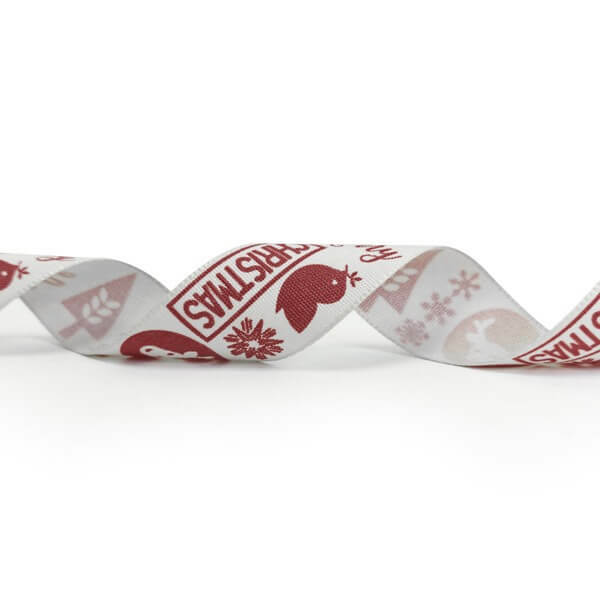 The red motif Christmas ribbon is the perfect solution to adding a touch of creativity to your gifts. 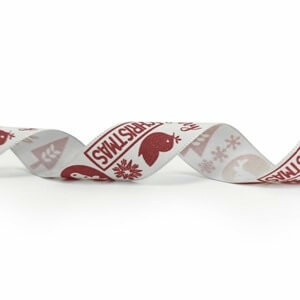 A beautifully designed ribbon that features a range of Christmas themed graphics that are perfect for the occasion. The ribbon is 25mm wide on a roll of 20m. Width is measured in millimeters (mm). Length is measured in meters (m). Ribbon is manufactured in the United Kingdom.